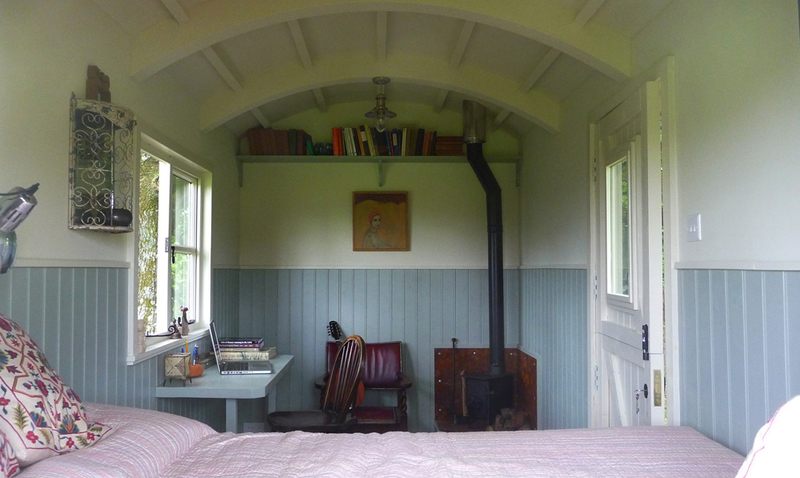 Bonhays can now offer a beautiful Shepherds Hut as additional accommodation to the main centre. It is set away from the centre in quiet willow corner looking up the Marshwood Valley. The Hut, made by Hawthorn Huts, has electricity, a wood burner, is fully insulated and has an outside tap. There is a very comfortable double bed with all bedding. There is a small electric kettle and fridge for the first morning tea. Outside the hut is a covered seating area and a fire pit. Although there is a compost loo and shower nearby, as a member of a group visiting Bonhays you will have all the access to all the facilities in the main centre.